More often than not, the cloakroom is the smallest room in your house. Its compact dimensions usually only allow for a basin and toilet and maybe a mirror above the basin. The chances are that if your cloakroom is cited adjacent to an external wall, there is likely to be a window and equally if your cloakroom is situated under your stairs, then it is highly likely that there will be a sloping ceiling above your toilet. A typical layout of a compact cloakroom is for the loo and basin to be at right angles to each other and usually on the wall facing you as you walk in. It is for these reasons primarily that many people believe they cannot change the overall layout of their cloakroom and simple see it as a convenience. As the room that the majority of your guests are likely to visit at some point, making the most of your cloakroom is essential. It’s a bit like visiting a restaurant and the loos aren’t very clean – it makes you wonder what state the kitchen is in where your food is being prepared and cooked! Consider some sort of furniture for your cloakroom. By adding storage into this compact space, you can store both cleaning materials and toilet rolls out of site. The newly gained worktop space is perfect for displaying accessories, leaving the units free to house non-decorative essentials. At Vanity Hall we have a specific range of furniture whose depth is shallow enough to fit into the tightest of cloakrooms. At 200mm deep it is the ideal storage solution. Three are many types of basin available, specifically designed to work with reduced depth furniture. 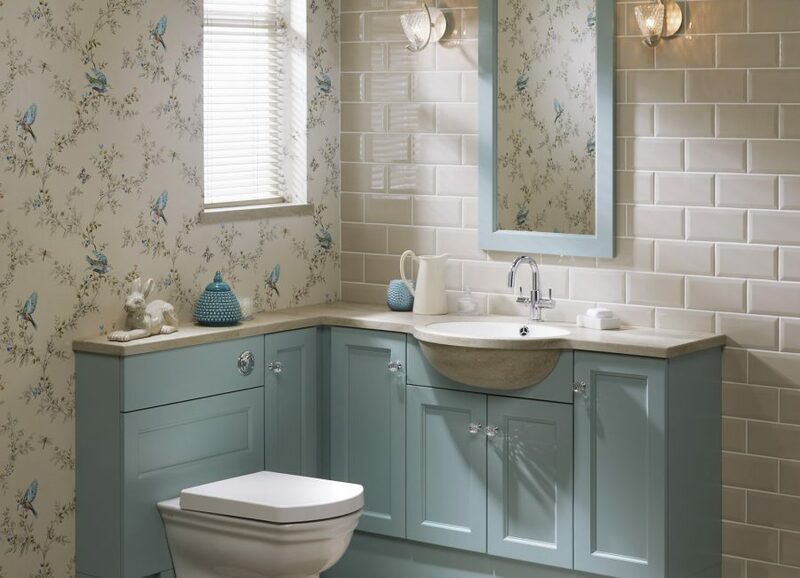 As well as ceramic semi-recessed options, you can create a feature of your basin and opt for a sit-on basin. Alternatively, why not consider a fully integrated semi-countertop basin. Here, the basin is handcrafted into the worktop to offer a seamless finish. Better still, as well as looking fabulous it is really easy to keep clean, so if you suddenly get some unexpected visitors, a quick wipe over is all it needs! Everyone likes to look their best and none so more than your visitors. Hang a large mirror or mirror cabinet directly above your basin. As well as drawing the eye away from the loo, the reflective qualities of the mirror will bounce light around the small space and help it feel light and airy. Most Vanity Hall retailers will be able to plan your new cloakroom layout to give you maximum storage. Simply type your postcode into the box and discover your nearest Vanity Hall preferred dealers.